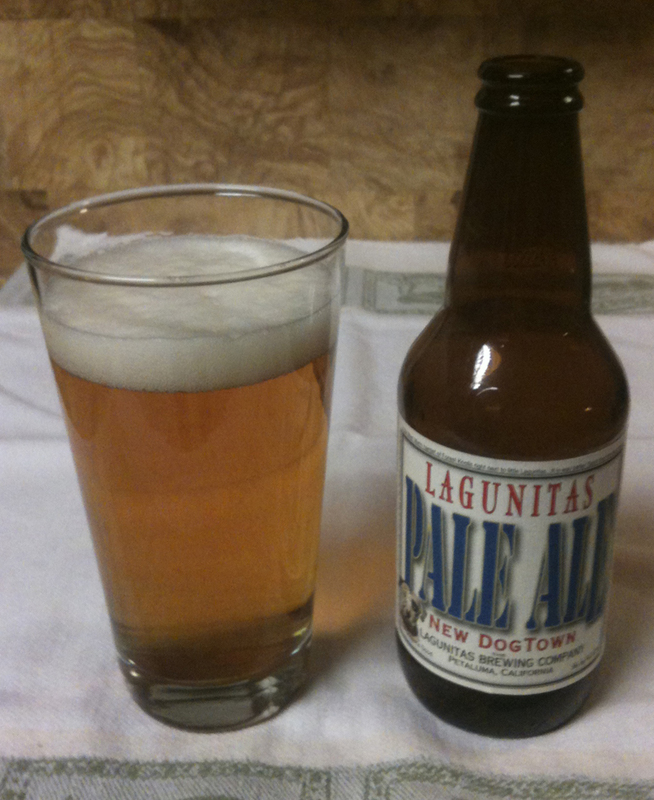 Time for another from Lagunitas Brewing Company. 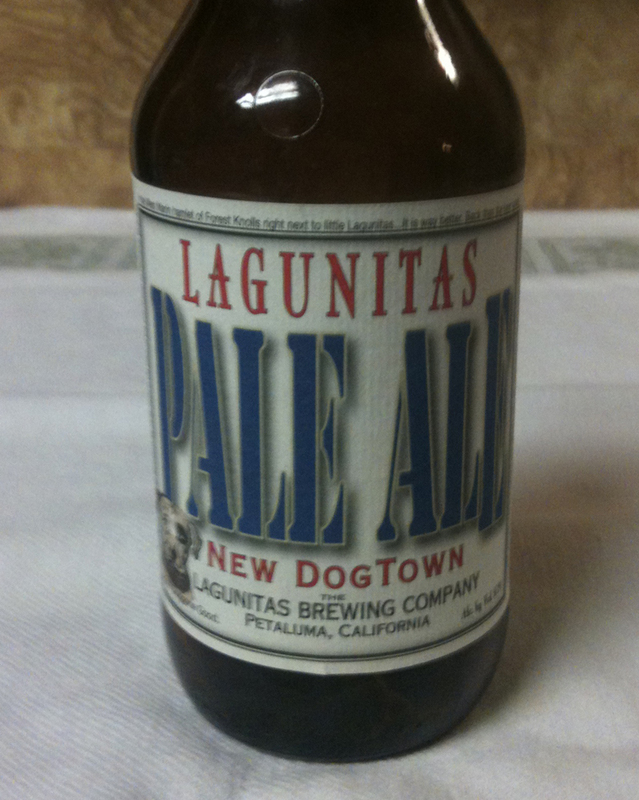 I started this venture off with their Holiday Ale, and tonight I will be trying a New DogTown Pale Ale. It comes in a twelve ounce bottle and shows 6.2% ABV. This Lagunitas poured with a medium head. The head was light in color, not white, but more like the color of bone. The beer's color is a bright golden yellow. Very clear - I can read the computer screen through the full glass. Aroma is mainly of grapefruit, but not biting - more of a sweet grapefruit. The taste is more of the same, a sweeter grapefruit more than one that makes your mouth pucker. Medium in strength. Very little bitterness in the taste, actually a bit of a sweet note. But there is a nice dry finish that leaves a little bitterness on your tongue as an aftertaste.